Take a look at Today's Daily Deal! 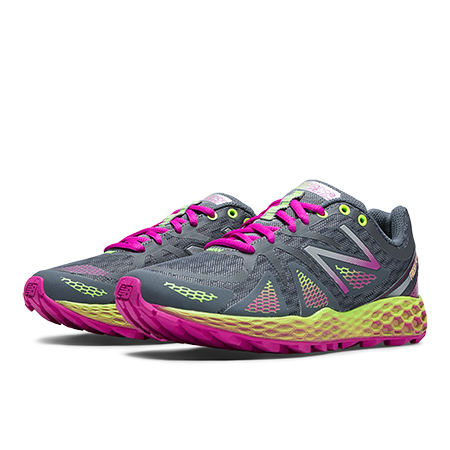 Save 55% on the Women's Running 980 Now Only $49.99 at JoesNewBalanceOutlet.com! Born of science, the Fresh Foam 980 Trail is unlike anything you've ever stepped into. Developed using specialized design software, this women's trail running shoe features a full-ground-contact outsole that grips uphill and downhill for great traction. And while youâ€™re on the move, the gusseted tongue helps keep trail debris from getting into your shoes. For a secure fit, the breathable mesh upper features simple no-sew overlays that wrap your foot in all the right places. The New Balance Fresh Foam 980 Trail: incredibly soft yet stable-even on tough terrain.